Shortly after Pope Pius XII made the formal dogmatic definition of the Assumption in 1950, he promulgated a new Office and Mass for the feast. 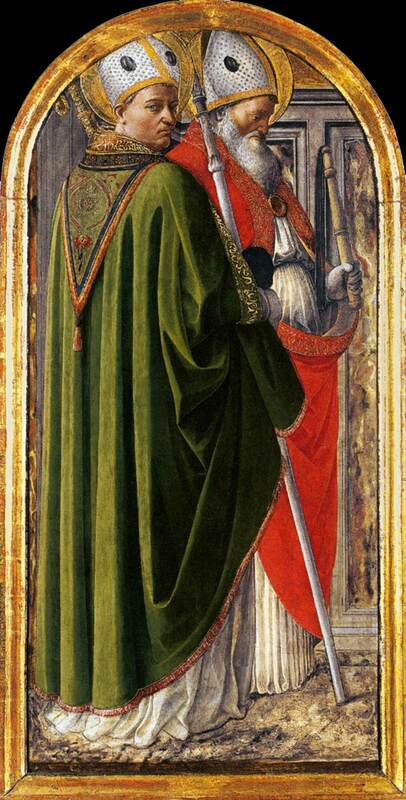 The Gospel of the new Mass, known from its Introit as Signum Magnum, is St Luke 1, 41-50, the words of Elizabeth, the mother of John the Baptist, to the Virgin at the time of the Visitation, and the first part of the Magnificat. 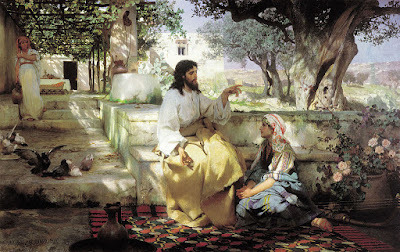 Before the promulgation of this new Mass, the Gospel had been for many centuries that of Mary and Martha, Luke 10, 38-42. 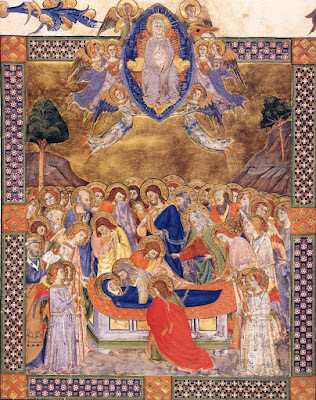 This Gospel was received, like the feast of the Assumption itself, from the Byzantine tradition, in which it is read on various feasts of the Blessed Virgin, with two verses from the following chapter appended to it, Luke 11, 27-28. In the traditional lectionary of the Roman Rite, these two verses are separated from the previous Gospel, and read on the Vigil of the Assumption. The Church Fathers traditionally explained Mary and Martha as symbols of the contemplative and active life respectively, as is seen already in St Ambrose’s Exposition of the Gospel according to Luke, although he does not use the terms “active” and “contemplative”. This is stated even more clearly by St Augustine, in the homily which was traditionally read in the Office on the feast of the Assumption. In the middle of the 9th century, Amalarius of Metz, in his treatise On the Offices of the Church, uses the terms “active” and “contemplative” life, although not specifically in reference to the feast of the Assumption, which he does not mention. By the middle of the 12th century, this tradition is fully well-established. In the Rationale Divinorum Officiorum, John Beleth explains that some Gospels are chosen as historical narrations of the events which the liturgy celebrates, such as that of the Epiphany, while others are chosen as allegories. 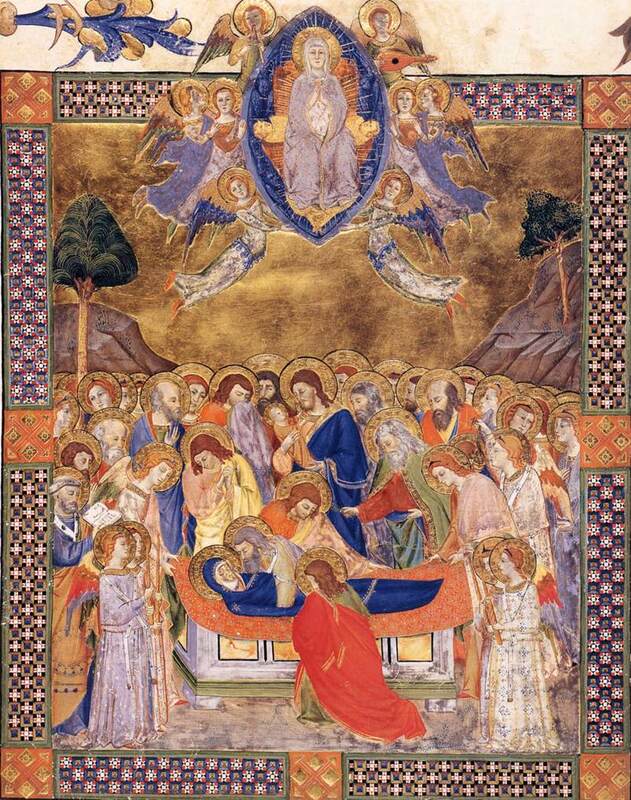 The Dormition and Assumption of the Virgin Mary, by Don Silvestro dei Gherarducci; from the Gradual of Santa Maria degli Angeli, ca. 1370, now in the British Library. William Durandus’ commentary on the liturgy, also called Rationale Divinorum Officiorum, stands in relation to the earlier commentaries as St Thomas’ Summa theologica does to earlier Summae, bringing together all of the threads of the tradition with great thoroughness and clarity. He writes thus on the traditional Gospel of the Assumption.